I was privileged to have the opportunity to partner with Wendy Lee and Miles Ito of Inspire To Do in organizing an awesome event for the Casa kids. 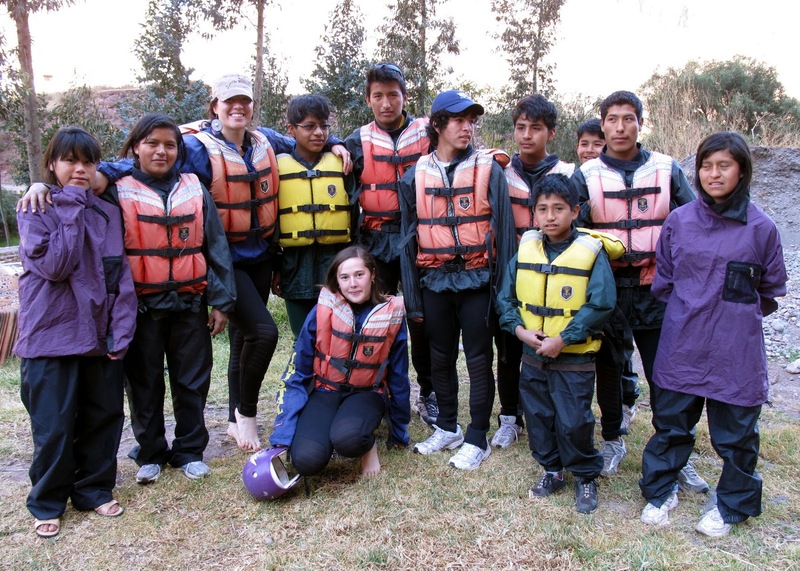 Wendy contacted the Board months ago with a desire to design a program/event that would inspire the Casa kids, help them connect with the community, and also incorporate her skills and experience working with special needs children. 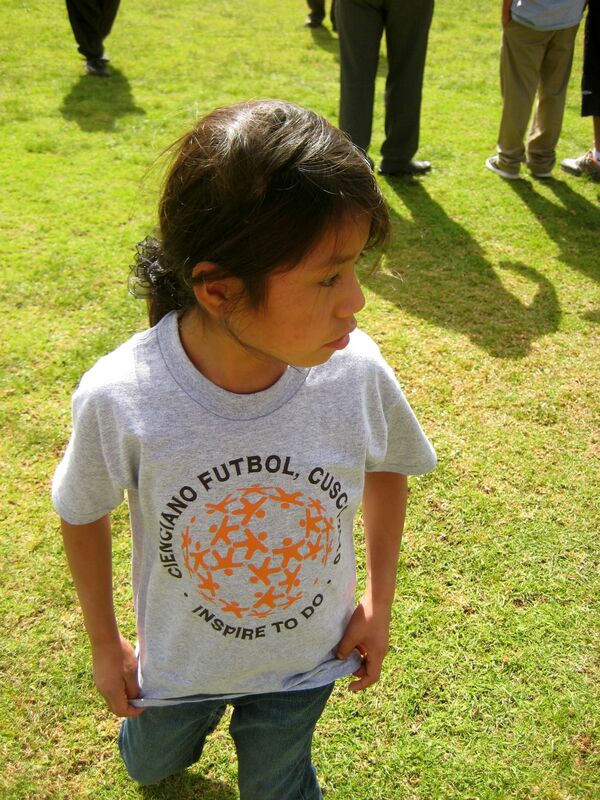 The initial idea was to hold a soccer clinic at the Casa that we could invite other children from the community to, but the logistics involved proved challenging during our timeframe. What we ended up putting together was still an incredible experience that I know the children enjoyed tremendously, and won’t soon forget. 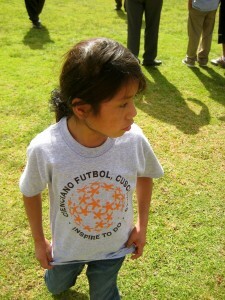 Wendy was incredible, and somehow made a connection with FPF (the Peruvian National Soccer Federation) who connected us with their PR Director, Enrique Mayor. 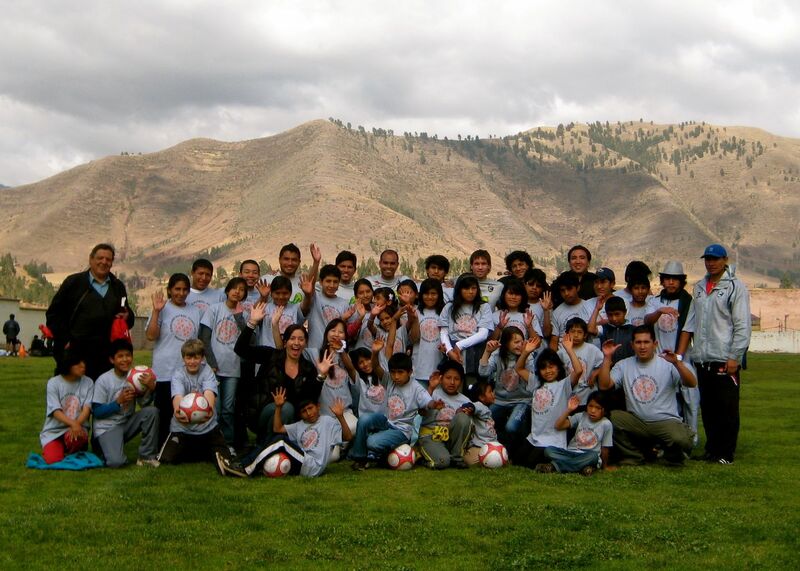 When we shared with him what we were trying to do, he graciously invited us to attend one of Cienciano’s (Cusco’s National Soccer Team) practice sessions in person, and to attend their game the next day. Wendy and Miles spent their first few days at Casa getting to know the kids, doing motivational games and exercises, taking pictures and videos. They brought a colleague with them, Leonordo Carrizo, who is a Photojournalist and professor at Ohio State University. Leonardo took some stunning pictures and was able to help us capture all of the special moments from their trip. Wendy and Mils also presented the kids with some amazing donations. They were able to contact Kodak, who donated 5 brand new Digital Cameras, and Miles was able to round up an IBM ThinkPad Laptop! The kids (and I) were beyond excited!! On the big day, we took a big bus from Casa into Cusco to attend the practice. Once there, the kids were able to meet and greet the players, interview them, hear their motivational stories of overcoming personal challenges, and take pictures and videos with them (with their brand new cameras!) The players and coaches were incredibly gracious, inspiring, and made a huge impact on the kids. After speaking to the players afterward, it seems our kids were able to do the same for them ;-) It was an unforgettable day…we even made one of the local papers! However, the team managers were so gracious and invited us to come back any time we want! I am incredibly grateful to Wendy, Miles, and the entire Inspire To Do crew for all of their love and energy put into this experience. I look forward to partnering with them again soon! Fourth of July weekend proved to be quite eventful at Casa de Milagros! Me and the Kiddos geared up and ready to GO! Click Here to see the Pics! One month in Peru – first thoughts on paper…such a whirlwind…what’s new? I am at Hanaq Pacha laying in my room, watching the fire dance in my own little fireplace, and listening to the cascading waterfalls that are seemingly all around me…Last night’s full moon is still full and bright – magically illuminating the endless clusters of stars in the sky. This is a truly sacred, magical place. Cusco is different this time around. I knew the honeymoon image of Cusco would make way to the reality, and that living here is quite different than visiting for a few days. It’s been challenging to realize that this magical place also has its dark sides, and its never-ending contradictions. So much beauty and spirit, but the darkness can get to you if you let it…particularly after the frustration of having my cell phone and my wallet stolen. However, I can honestly say that I still feel absolutely blessed to be here. I have to remind myself that this is a unique experience in so many ways. I have not lived outside of the United States since I was a very young girl, and this is my first time spending more than a few weeks in Peru as an adult. I wanted this, I manifested it, and I am immensely grateful for the opportunity to support such an amazing organization. I have dreamed of being in Cusco for Inti Raymi for many years, and it is surreal that I am here now! For those who don’t know, Inti Raymi, or “Festival of the Sun” is a week-long festival that culminates on the Winter Solstice, and marks the start of their new year. The Inca worshipped the Sun as their main God, so both the summer and winter solstice were very important times of the year – in particular the winter. “During the Inca Empire, the Inti Raymi was the most important of four ceremonies celebrated in Cusco, as related by Inca Garcilaso de la Vega. The ceremony was also said to indicate the mythical origin of the Incas, lasting nine days of colorful dances and processions, as well as animal sacrifices to ensure a good cropping season. The last Inti Raymi with the Inca Emperor’s presence was carried out in 1535, after which the Spanish conquest and the Catholic Church suppressed it. Some natives participated in similar ceremonies in the years after, but it was completely prohibited in 1572 by the Viceroy Francisco de Toledo, who claimed it was a pagan ceremony opposed to the Catholic faith. My fellow Board member and friend, Robin was with me throughout the week, and we woke up early on the 24th to take in the main event in the Plaza de Armas. We sat our butts down on the very cold Cathedral steps for four hours so that we could get good seats to the performance. 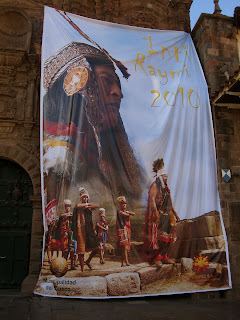 As mentioned above, Inti Raymi is essentially a three act play that is performed across the city of Cusco. Act I begins at 6:00 AM at Qoricancha, Act II begins around 11 AM in the Plaza de Armas, and Act III culminates at the top of Sacsayhuamán ruins overlooking the city. Robin and I watched Act 2 and made the long uphill trek to Sacsayhuamán to catch the tail end of the Final Act. The colors, the music, the dancing, and the energy were just…electric. Yes, over the years the festival has become pretty “touristy” – but thankfully I have made many local friends, and have been able to learn about and participate in some of the more traditional festivities as well. 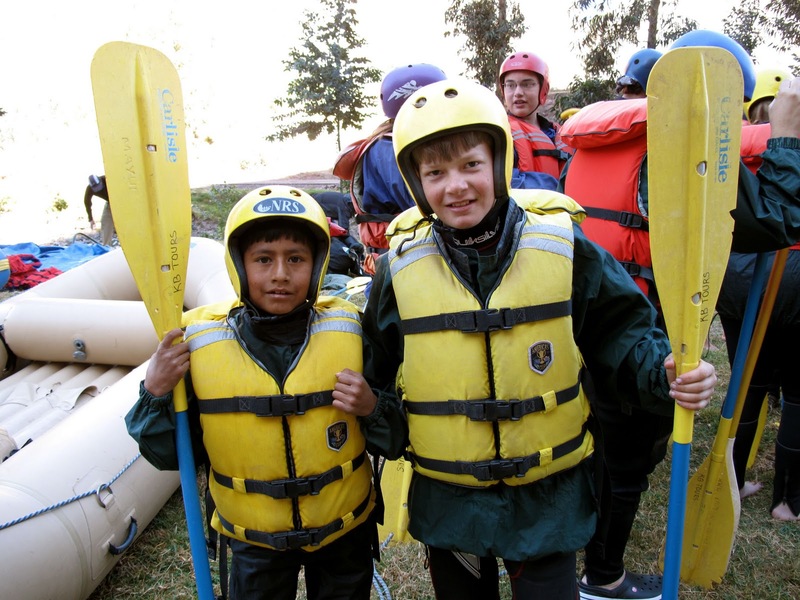 All in all – Inti Raymi 2010 was a fabulous, unforgettable experience! You can see the rest of my Inti Raymi pics HERE. One year later – returning to the land that filled me with so much inspiration and energy exactly one year ago. Many lessons on this trip, some still in the works and others coming through loud and clear. I am being gently and not-so-gently reminded that life is a continuous cycle of change and transition – it has to be – and those of us who try to hold onto moments will be consistently disillusioned and disappointed. 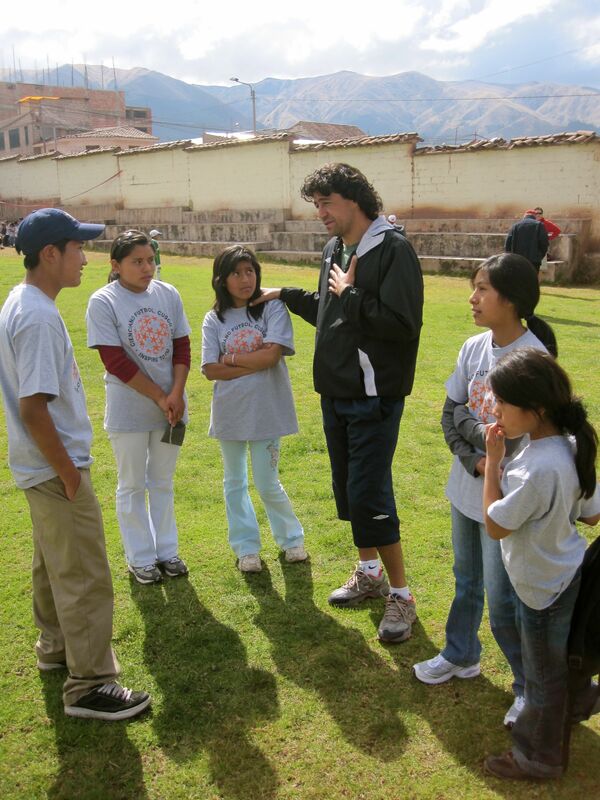 This is not the same Cusco of a year ago – just as I am not the same person. This trip was different for many reasons – both in purpose and in context. This was not a vacation; yet I have had great fun, met some wonderful people, and seen some amazing things. Casa de Milagros was incredible. My heart has never felt so full of love, and so confident that I am doing exactly what I need to be doing with my life, and with my energy. Donate to a Great Cause: Tierra De Niños! A journey of blogging, traveling, and creative living.